The desire to make music was kindled inside me by punk rock in my teenage years when I fell for its uncompromising and intoxicating expressivity. Since then, I have played in several jazz, jazz-rock and electroacoustic bands as well string orchestras and other ensembles. 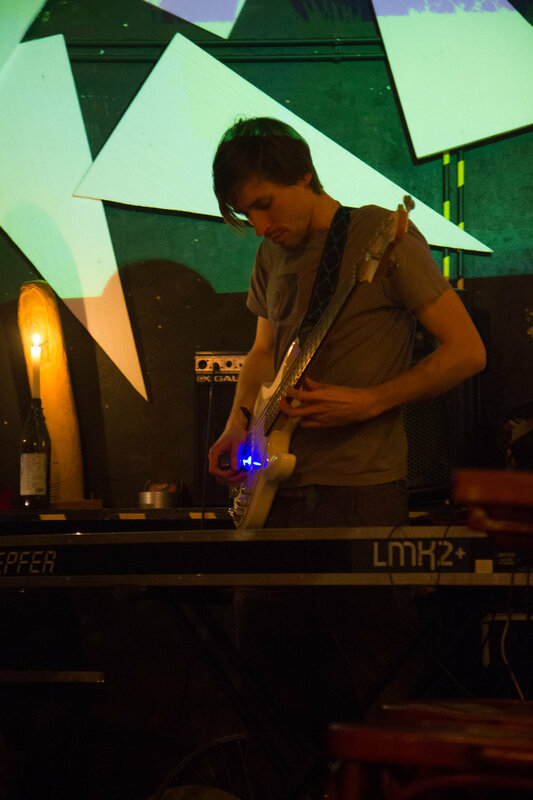 My musical taste has developed to encompass a vast range of musical genres spanning jazz, electronic music, noise and drone as well as contemporary classical music. Along with it, I started to appreciate sound as a form of musical expression and I bought a portable microphone. Wherever I go these days, I take it with me and record sounds around me, exploring undiscovered soundscapes and finding joy in fascinating sonic phenomena. 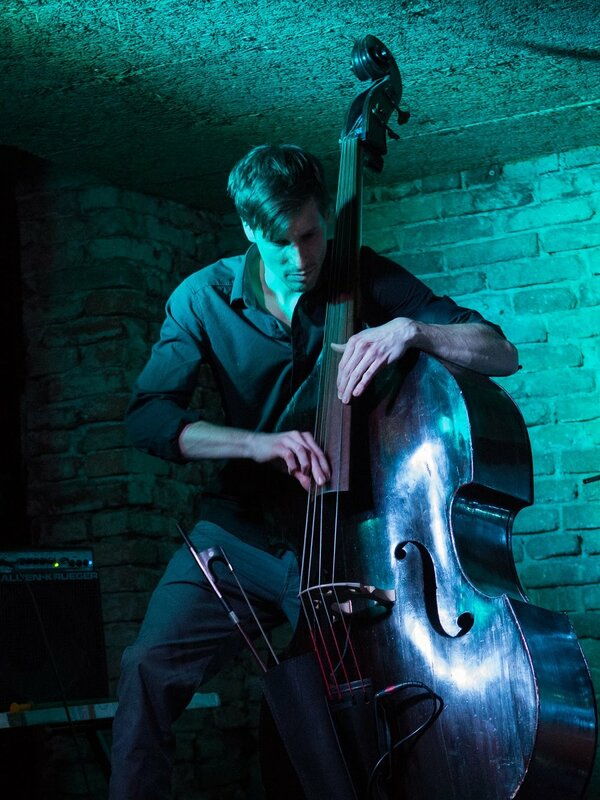 I play upright bass, bass guitar, piano and also compose and produce music and enjoy very much performing live. Autopoetik is an experimental solo project in which I dive into a vortex of improvisatory responses to prerecorded sound samples, loops and field recordings. I attempt to create artificial soundscapes which are partly pre-determined yet at the same time very volatile, very much like a static image which magically transforms itself when your gaze falls on it. Autopoetik's debut solo album Machine-Bird-Rain was released on the Czech independent netlabel Signals from Arkaim and can be streamed or download for free here. Founded as a project of two bassists, one of whom, Peter Galata, also happens to be a drummer and a guitarist, and the latter, Martin Lauer, who plays the keyboard and indulges in recording sounds wherever he happens to be, Minor Domestic Injuries strive to establish a collaboration in which musical ideas coalesce with eerie sound objects arising from a continuous exchange of impulses between both of the players. Using field recordings, loops, ambient soundscapes, snappy bass grooves, jazzy guitar riffs and beats a potpouri of musical structures comes to life which is as likely to shock you with its visceral sound expressivity as to make you lean back in your chair and listen comfortably as the sound flows along. 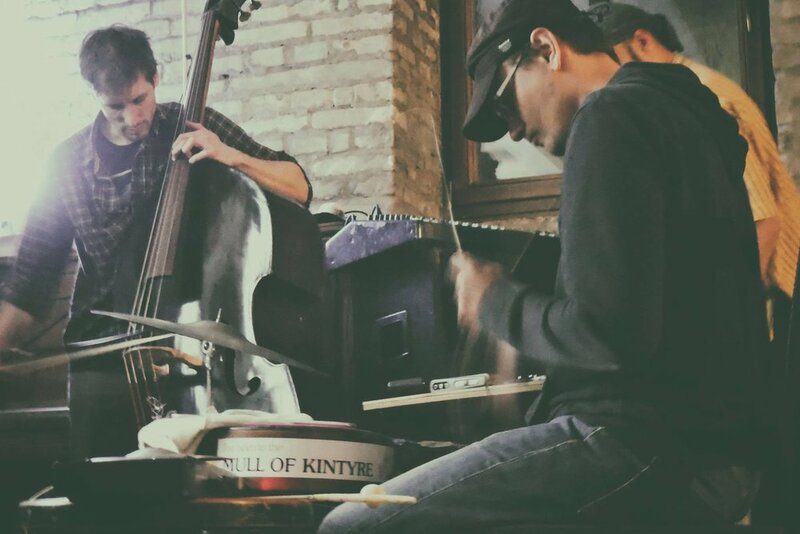 The duo revels in improvisation and plans to collaborate with likeminded musicians as well as artists from various other fields and feature diverse guests in its future performances. Syndicate is a spectacular journey across several musical continents. It is a combination of three visions. The first one will guide you through gradually revolving lowlands which sketch out a seemingly unattainable horizon in the background concealing an emotional denouement of each tune. The second features a winding path through a rugged mountaineous terrain leading in unpredictable directions only to reveal an astonishing view into the valley. The third landscape is stretched over silent, vast plains whose horizon blurs amidst the shimmering air and foggy mist hovering above the pulsing metropolis. 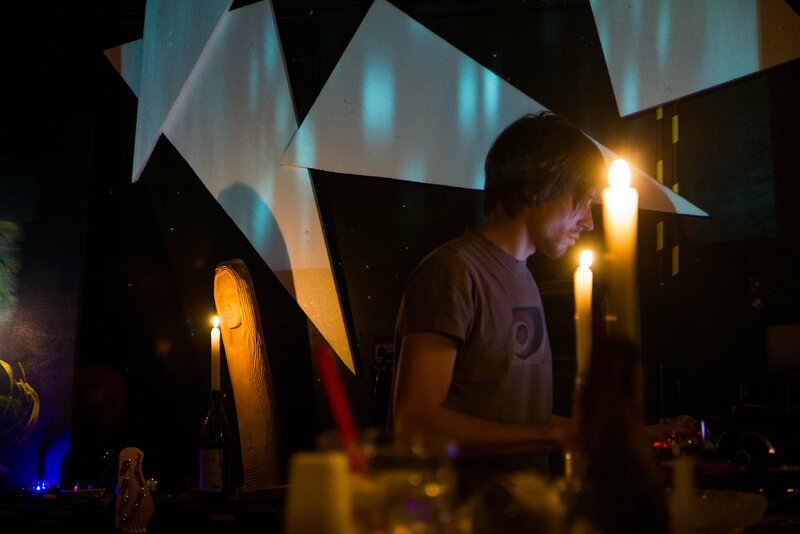 Syndicate's debut album was launched at Prague Microfestival 2017 and features Louis Armand's reading of his poem "No Man is a Bridge" and Aren Ock's rendering of Stephan Delbos's poem "The Rusted Door." A dancer and a musician find themselves entangled in a web of impulses, which they continually exchange with one another. This semi-improvised performance features instantaneous interaction between movement and music as every move of the dancer transports itself onto the fingerboard of the upright bass and every oscillation of the string activates the body of the dancer. This is not a mere mapping of a space, it is a way of inhabiting it and experiencing it intimately with your body. A dancer guided by sound and a musician guided by movement. Which one is going to lead the other astray? „Entangled“ is an experimental site-specific performance which focuses on the exploration of the interactivity between motion and sound. It is an exploration of vicissitudes of life fueled by bottomless energy of Lola Karpenka, an amazing butoh dancer, multidisciplinary artist and a very dear friend of mine. We prefer to perform in exteriors and if possible in public areas in the presence of unsuspecting passers-by. 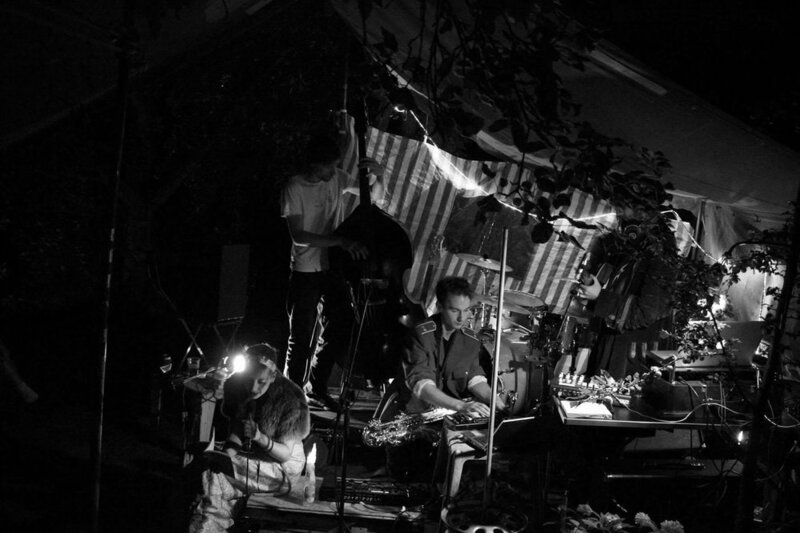 The Pololáníks is a a free-improvisation quintet which came into being in 2011. It aims for a more thorough and focused exploration of musical space in which different musical backgrounds intersect. Using double bass, recorders, trombone, laptop and clarinet/sax/guitar as the main line-up, the band also makes prominent use of found objects and self-made instruments, resulting in a full, but mostly restrained sound. In 2014 The Pololáníks released their first studio album Náměť which is available for download on bandcamp or purchased in the Rekomando music and book store.